The review examined the thirty cases, all of which are believed to be connected to organised gang crime, and found that in the majority of fatal shootings — 18 total cases — no suspects were arrested at all, Sveriges Radio reports. In some cases there were suspects who arrested by police but later let go due to a lack of evidence, and the vast majority of the thirty murders are still in the preliminary phase of their investigations. The regional police chief of Stockholm, Ulf Johansson, claimed police have made steady progress, but noted the difficulty in solving the cases revolved around getting witnesses to testify, saying police had to rely almost entirely on forensic evidence. To tackle to problem of gangs, Johansson suggested that lawmakers should open up a debate on whether or not to criminalise gang participation entirely. “I think we should be open to legislative measures and I think our politicians are now too. But we have to continue this work in order to get the right tools,” he added. Deadly violence in Sweden, according to a Swedish Crime Prevention Council (Brå) report released earlier this year, saw a record high level in 2017 with 113 fatal shootings. 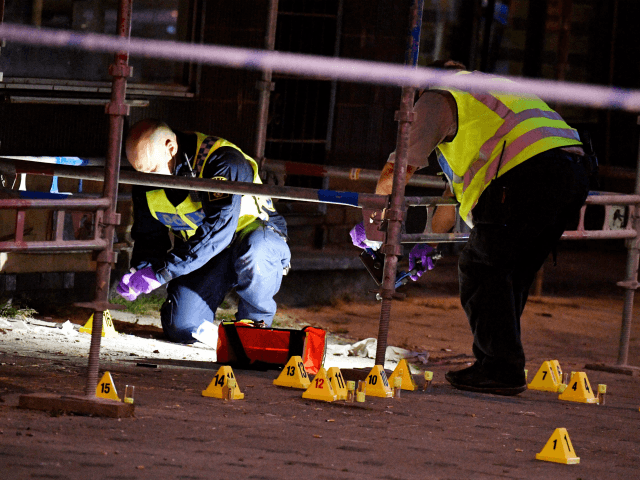 In the city of Helsingborg, the rise in gun violence was even sharper, with the city seeing a 300 percent increase in 2017. Local police district manager in Helsingborg Sven Holgersson, blamed criminal elements, saying the shootings were often tired to disputes over money, drugs and weapons.